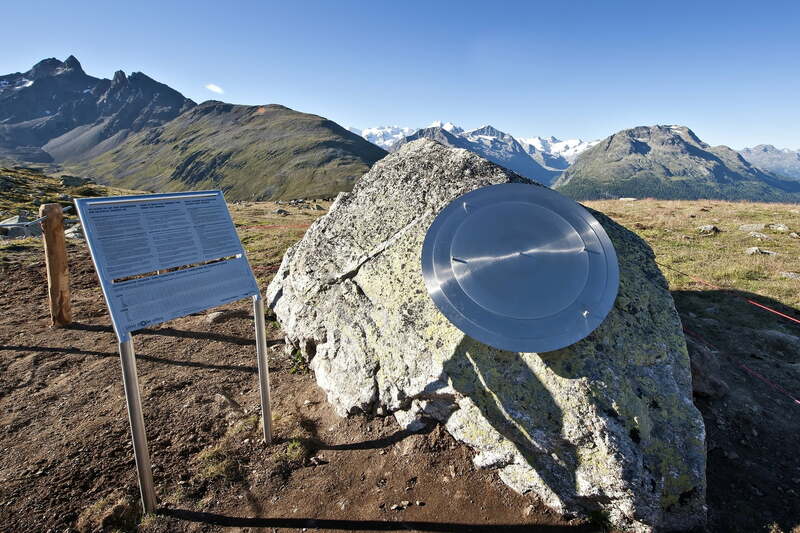 SINE SOLE SILEO – the most accurate sundial in the world! High up on Muottas Muragl (2,456 m), on a spot just above the Romantik Hotel Muottas Muragl, is SINE SOLE SILEO, the most accurate sundial in the world! In summer, it functions as a sundial, and in winter, as an almost equally precise moondial. Its unique construction makes it possible to read the time to an accuracy of an incredible 10 seconds. Come and see for yourself just how amazingly precise SINE SOLE SILEO is!